We’ve been exploring pricing strategies in the past several blogs from Hermann Simon’s Confessions of the Pricing Man: How Price Affects Everything. I’m not a pricing expert. What Is the Most Promising Price Strategy to Pursue? Rarely in my 35 years of coaching and owning businesses have I seen it profitable to discount your prices. 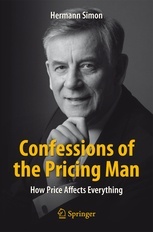 If you’ve been following our blogs on Confessions of the Pricing Man: How Price Affects Everything by Hermann Simon you’ve been learning about the huge leverage that pricing can have on your company’s profitability. How much influence and commitment does your management team place ion pricing? High Prices or Low Prices Better for the Profit and the Survival of a Company? Are high prices or low prices better for the profit and the survival of a company?